Diamonds are complex, with many attributes that affect their overall beauty and quality. When looking to buy a diamond, it's important and advisable to learn about them before you purchase one. David Levy Diamonds offers a large collection of the world's finest cut diamonds. The cut, color, and clarity of our loose diamonds are evaluated based on a standardized grading scale. 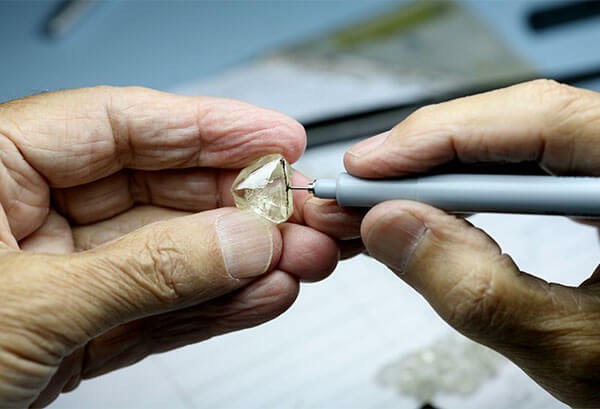 Also, each loose diamond is accompanied by a grading report from the leading Independent diamond grading labs with the most stringent grading scales of all labs. At David Levy Diamonds education center, you go beyond the “4c’s” and learn about everything that gives a diamond both its beauty and its value.